Award-winning elder services provider Duxbury Senior Center provides a meeting place, meals, and a wide range of programming for residents of Duxbury and surrounding communities. As their reputation and services expanded, they needed a website to better reflect their mission and values — and one that could be updated frequently with new classes and information that enriches the lives of their patrons. 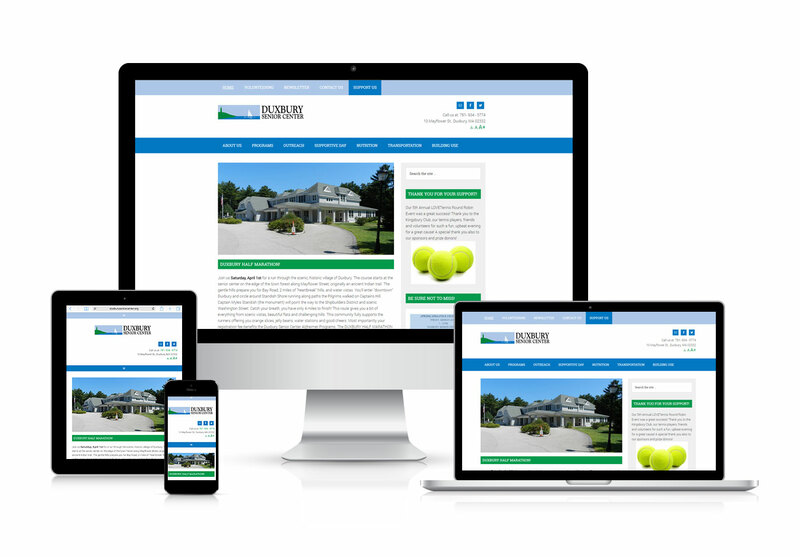 Mica Web Design worked with Senior Center staff to refresh the website and train staff for easy site maintenance.